Whether it’s a local move across town or a long distance move across the state or beyond, Marrins Moving is ready to provide you with a smooth, affordable, and stress-free moving experience! With more than a decade of experience in the business, our professional moving teams offer an unrivaled, personalized level of moving services customized around your specific relocation needs. With thousands upon thousands of successful moves locally in New York and North Carolina, as well as to other parts of the country and the globe, we are proud to say that the unsolicited praise from our satisfied customers truly speaks for itself. We provide trusted moving assistance for a variety of moving situations, and we even offer white glove service for those needing an even more superior level of care during their move. See what we provide below, and be sure to contact us to learn more about how we can help make your next move smooth and hassle-free! Just bought your first home? Moving to a new house in a hurry? We’ve got you covered. Not only will we move your items to your new location, we’ll even handle the packing for you as well. We understand that moving can be stressful and time-consuming, and it’s often a much bigger project than anticipated once you get started. 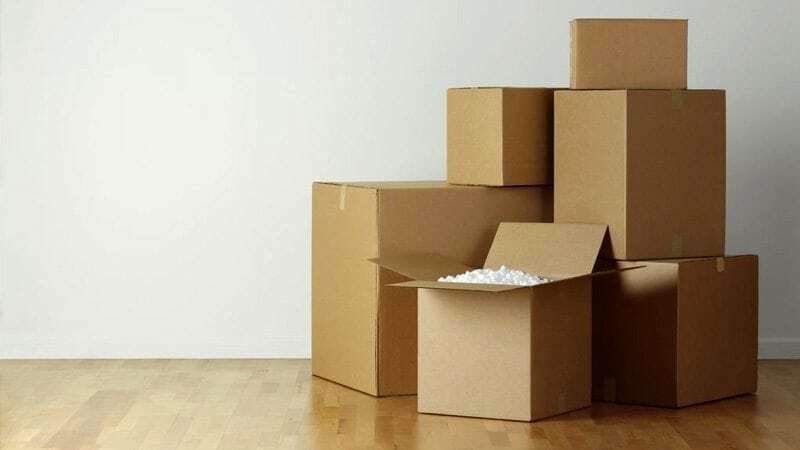 If you’re pressed for time or just don’t have the energy with everything else happening during this transition, we’ll carefully and securely pack your items and get them ready to go. We’ll load them into our Marrins trucks in an organized manner, and then transport them to your new destination safely before moving them into your new place. Got a new office or facility? We can help with that, too. Commercial moving can often be a huge job, especially when sensitive items are involved. We’ll handle all the packing, transporting, and loading and unloading assistance you need. In the case of confidential or delicate materials to be moved, you never have to worry about the Marrins team disappointing you. Our staff members are highly trained and screened to be the best people you want working on your moving job. Near and far, we’re your team. If you’re planning an international moving, you’re likely keeping many plates spinning right now, and the last thing you want to think about is finding the time to do all the packing and shipping. Our experience in this area is vital for many first-time international movers. You can count on us to walk you through the process and help you take care of everything for your overseas relocation. Need an even higher level of care and attention for your items? No problem. Marrins offers white glove moving services for a superior customer experience. What are white glove services? Learn more here. For local moves, Marrins Moving will handle every detail with the personal attention you deserve. We have the equipment and manpower to handle any move of any size. No move is too big or small! As a customer, you will enjoy our local expertise along with the best local moving servicesat the most economical prices available anywhere. Most importantly, we will stop at nothing to ensure that you maintain maximum peace of mind throughout the entire process! Regardless of whether it’s just a few hours away or across the country, Marrins Movingprovides exceptional, top-notch long distance moving company services from coast to coast to ideally fit both your schedule and your budget. You can always rest assured that our experienced team of professional long distance movers will handle your possessions with the same care and attention that we provide for the thousands of successful local moves that we accomplish each and every year. No matter where you plan to call home next, Marrins Moving has the expertise, equipment, and unwavering commitment to excellence in moving services that you would only expect from the most reputable, trusted, and reliable residential movers in the area. If your new home isn’t quite ready for you yet, or you simply have too much stuff to move in at this time, we will be more than happy to store your belongings for you, for as long as you need. Our secure, climate-controlled residential and commercial storage facilities are convenient and affordable! Unlike most self-storage facilities where you have to pay for an entire unit, at Marrins Moving we only charge you for the actual amount of space you use. Our on-site staff will help you build your items into a self-contained lot, utilizing the smallest possible footprint. Just another way we try and save you the most money possible! At Marrins Moving, our top priority is making certain that you have the easiest, most seamless moving experience possible. As part of our moving services, we also stock a full range of packing supplies to ensure that you have everything you need. We stock everything from small book boxes to large TV boxes, mattress covers, and beyond. Every move also includes FREE unlimited tape and moving blankets!